Track work resumes this weekend with advisories on all five Metro rail lines. Track work is set to begin at 10 p.m. Friday and continue through Sunday. The Red Line will single-track between Forest Glen and Takoma and between Van Ness and Dupont Circle. Red Line trains between Shady Grove and Glenmont will run every 24 minutes throughout the weekend. During the day on Saturday and Sunday (between 9 a.m. and 9 p.m.), extra Red Line trains will run between Farragut North and New York Avenue only, providing service every 12 minutes. Both the Orange and Blue lines will single-track between Eastern Market and Stadium-Armory. 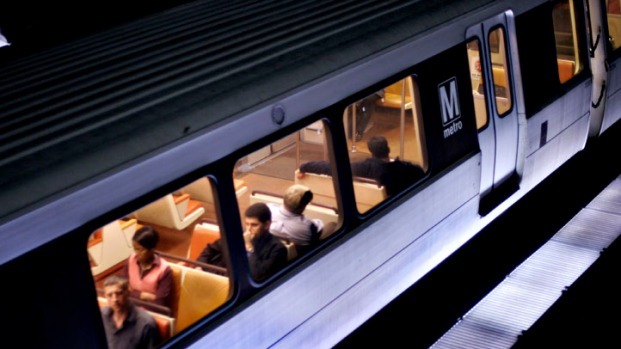 Three big events in Washington this weekend, mixed with Metro track work, could bring delays and problems for riders. News4's Jane Watrel reports. Orange Line trains will single-track between East Falls Church and West Falls Church. Trains on the Orange and Blue lines will run every 20 minutes throughout the weekend. Yellow Line trains will run between Mt. Vernon Square and Huntington only. The Green Line will have the following stations closed: Greenbelt, College Park, Prince George’s Plaza and West Hyattsville. Buses will replace trains operating between Greenbelt and Fort Totten. Metro urges all customers to allow for additional travel time in their plans. People planning on attending Nationals or Capitals games this weekend should take note.